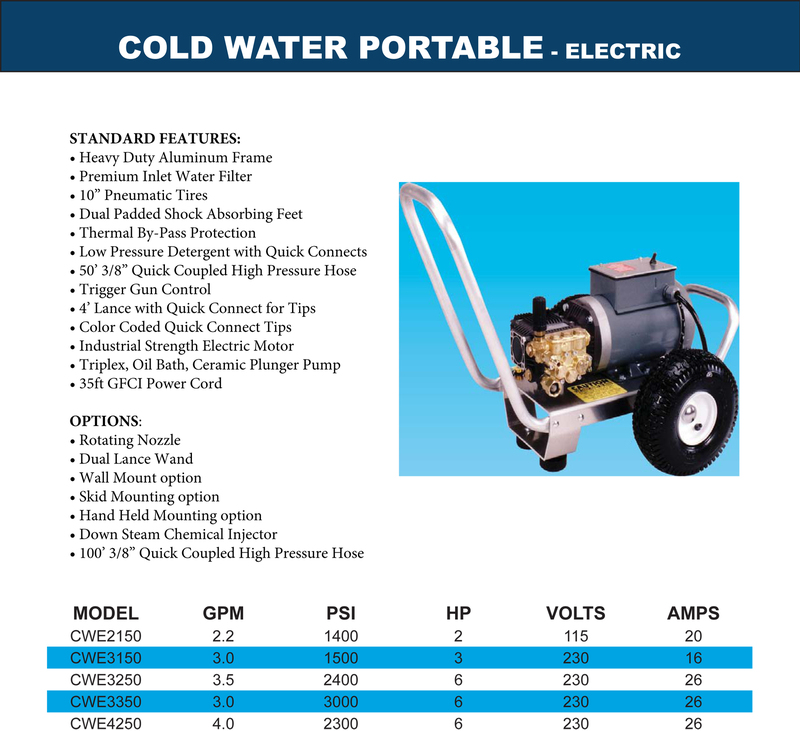 Two Step Cold Water Gas Eng. 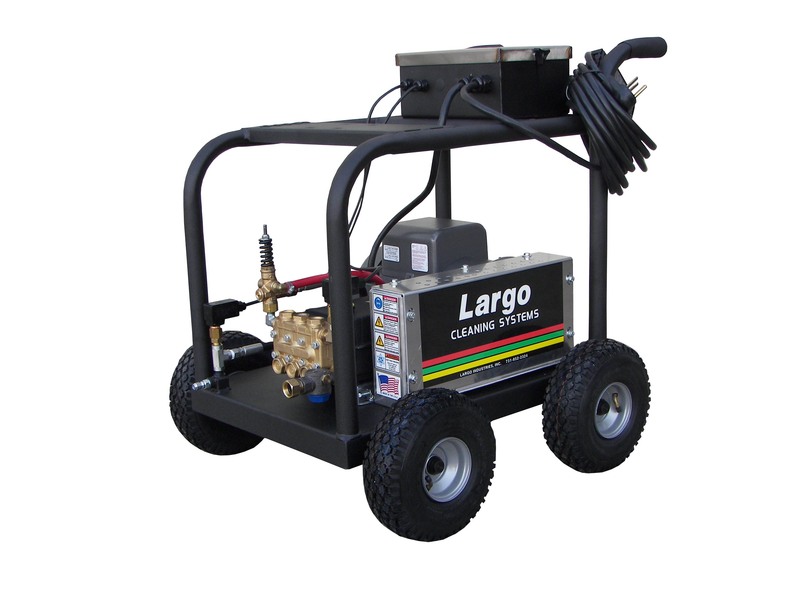 Largo Cold Water Blasters are used for cleaning most any surface not affected by water and pressure. 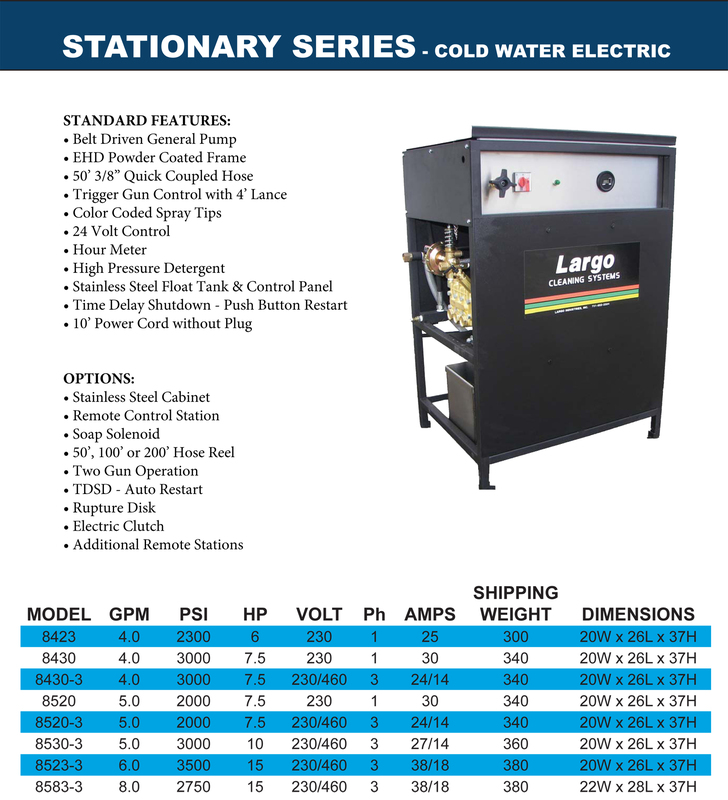 Around the home, shop or business, these are units designed to handle the job quickly and with ease. 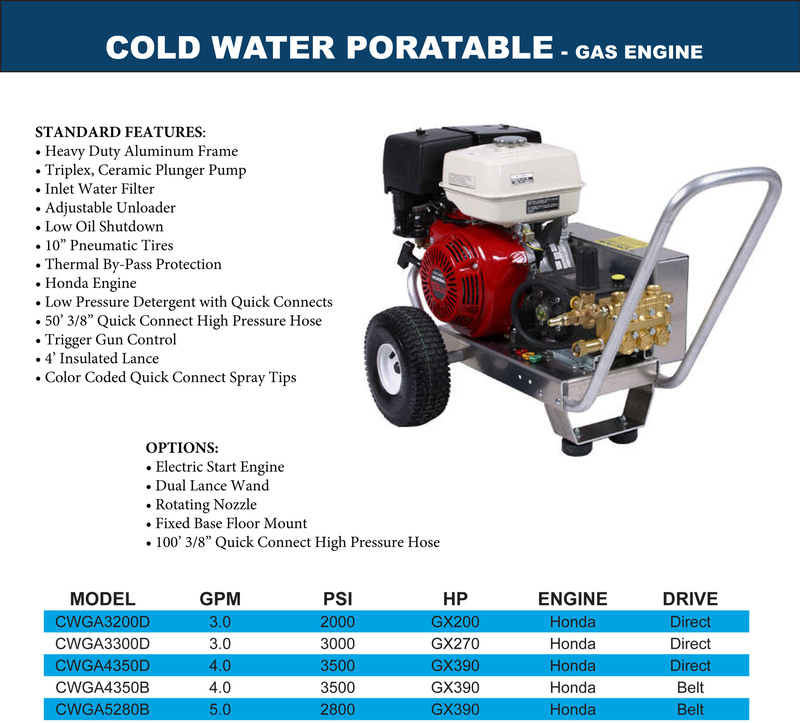 Simply attach a garden hose, connect to an electrical source or start the gasonline engine and go to work. Clean decks, homes, fences, concrete, equipment, vehicles, rv’s, boats, bikes, animal quarters, mud bikes and four wheelers. Around the farm, hunting clubs, marinas, car dealership, detail shop or resturant. These reliable easy to use machines make cleaning a simple chore. Put it on a truck, put it on a trailer, set it up in an equipment room or just pull or push the machine to the job. Electric units: Do not purchase electric units for cleaning pool areas, for use on boats or slip areas. Water and electricity do not mix. Use good judgement, do not remove the ground fault circuit interupters or cut off the molded grip plug. 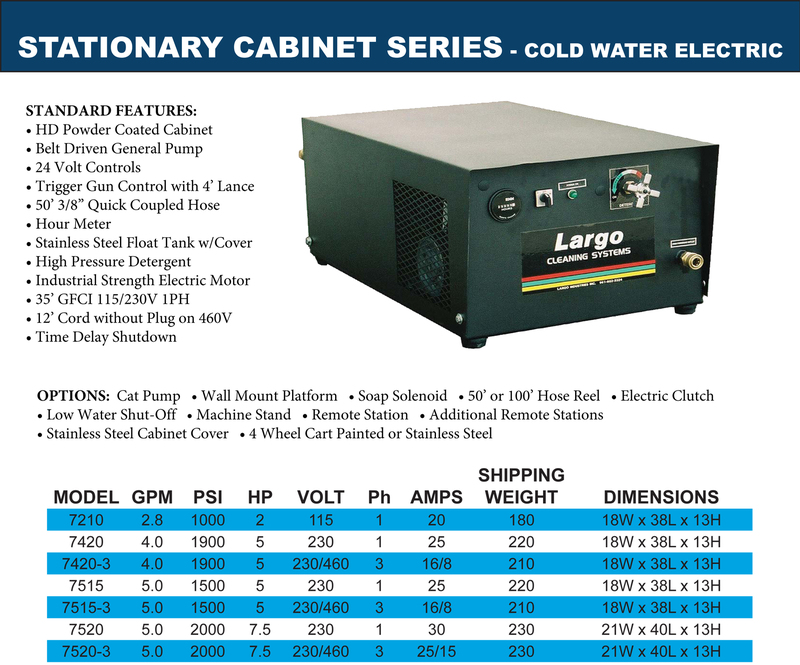 Our electric units are available in both 115 volt (2hp or less) and 230 volts. The higher the horsepower the more ampherage is required. Check your wiring and connections to insure you have sufficient power to operate one of these units. 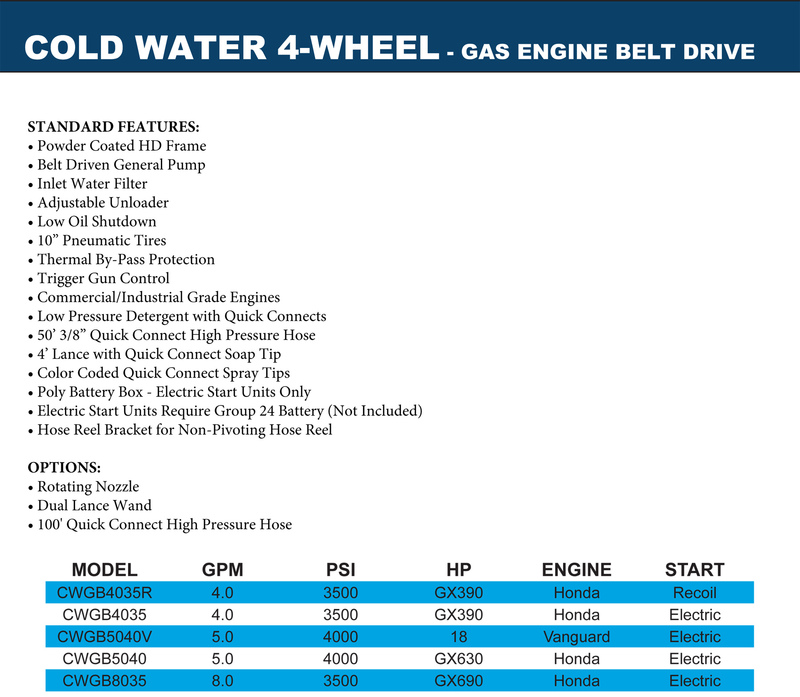 Gasoline engine units: Available in either direct drive (intermittant use) or belt drive (heavy use applications). Largo Power Blasters will meet most any cleaning challenge. 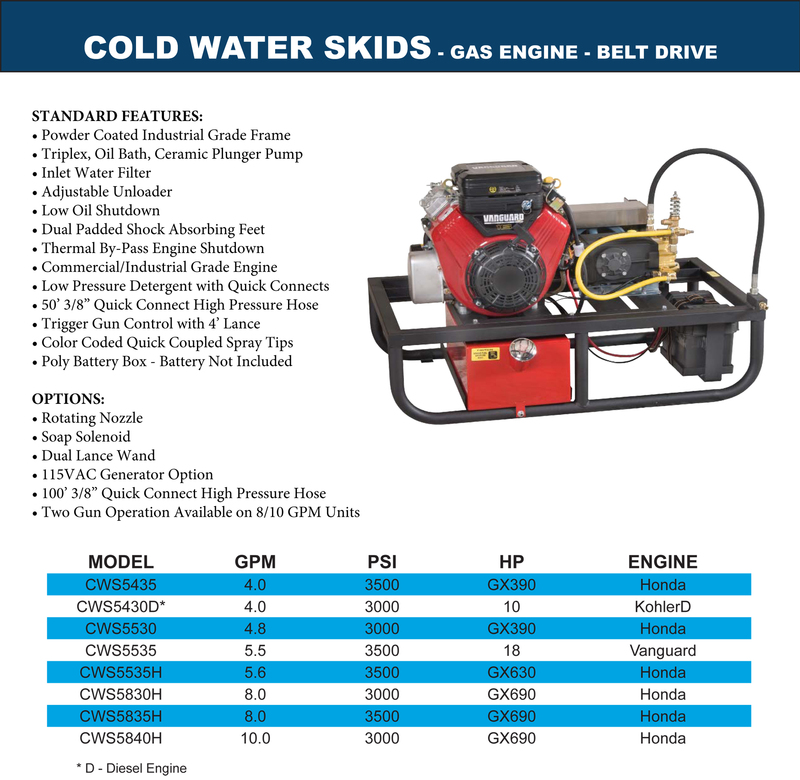 While the direct drive units are only available with recoil start engines, the belt driven models can be purchased either with recoil start or electric start. 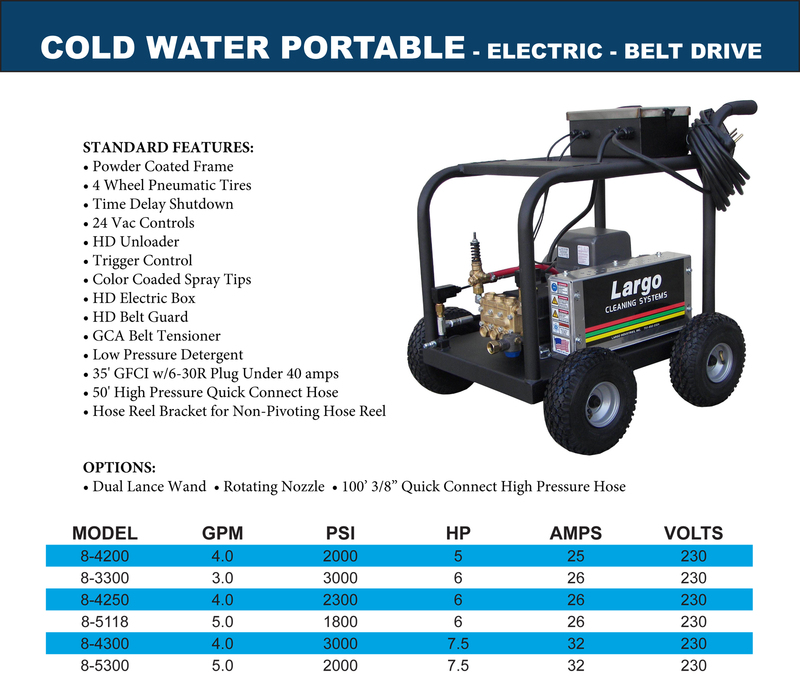 Whether portable, stationary, or skid mounted these belt driven units are rugged and reliable. Pick one that best suits your needs and get to work. Note: Due to our pricing on pressure wash equipment we are not able to offer Free Shipping, Bonus Bucks or Veterans Discounts. Place your order on line and we will call you with shipping instructions and charges. Prices too low to advertise. Call for Pricing 800-346-4876.